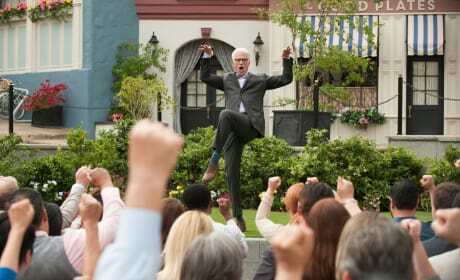 Michael (Ted Danson) rallies his fellow demons, who are posing as townspeople. 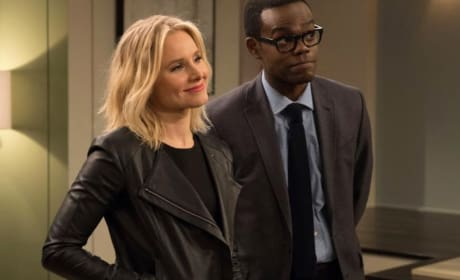 Eleanor and Chidi are ready to return to The Good Place! 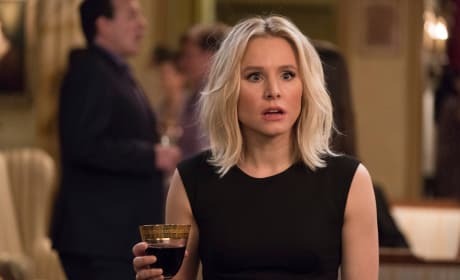 Kristen Bell stars in the premiere episode of The Good Place on NBC.